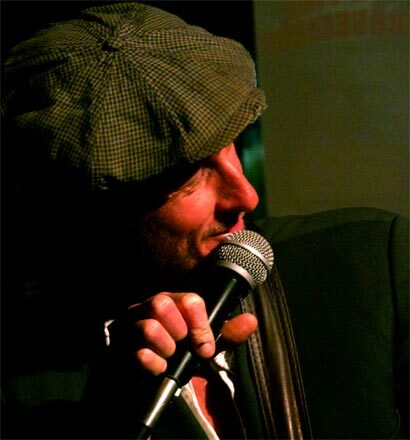 "Jimmy Dowling is authentic and original... I love this album"
"Jimmy's got a lot of stories to tell, and tells them his own way - with strong words and a steady hand"
"A modern day Dickensian folk blues artist and a friend of mine"
A ballad singing song slinger, who's worked around the world on land and sea. A story teller, who writes with the keen eye of a poet and who's music could be the lovechild of a sea shanty and a jazz standard. Fond of the slower tempos and waltzes, Jimmy Dowling blends the overtones of a jazz sensibility with simple structures, and possesses an uncommon lonely magic. He's known for a conciseness and depth of lyric, a healthy use of space in the instrumentation and a natural swing in the vocal delivery. Join Jimmy Dowling on Facebook here.